Linda Hickman is an original member of the well-known Washington, DC-based band Celtic Thunder; with Jesse and Terence Winch, Steve Hickman and eventually, Nita Connelly. 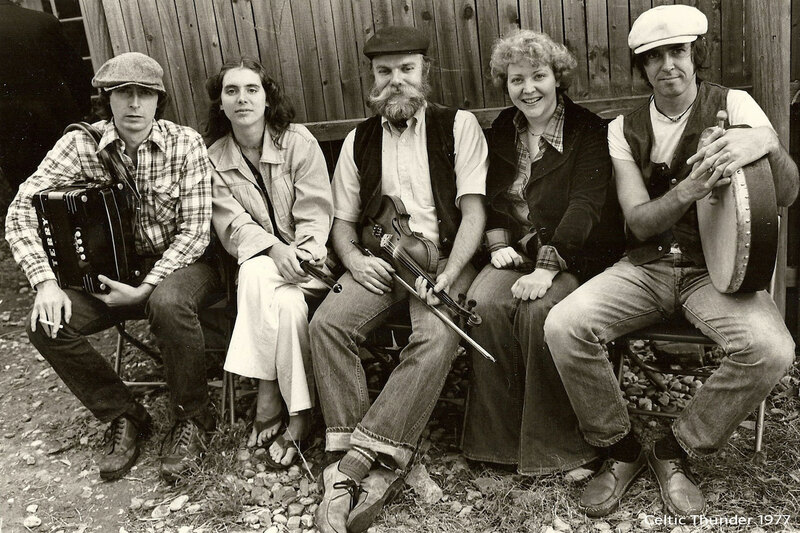 Throughout the 1980’s they performed in bars, concerts and festivals infusing complex vocal harmonies with rousing traditional jigs and reels. Her early musical influences were flutists Roger Sherlock, Seamus Tansey and Josie McDermott. All music she heard on old recordings in Peggy O’Neills Irish dance classes and later, on recordings she heard while living with fiddler Tony DeMarco. 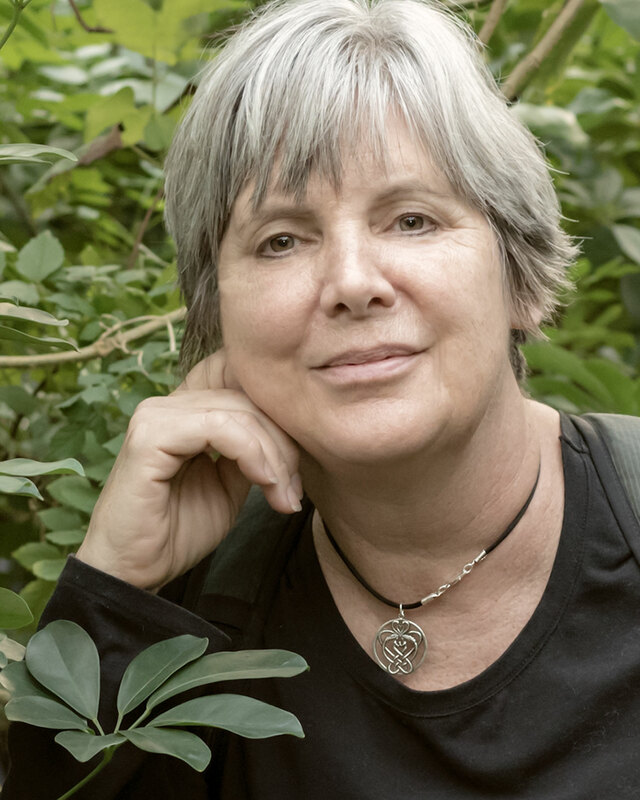 In 1982, she moved to New York and began taking flute lessons from East Galway flute player, Jack Coen – taking 3 trains from Staten Island to the Bronx to sit all day around his kitchen table learning tunes and listening to the stories attached to the tunes. Learning tunes in this manner changed Linda’s style as well as her relationship to the music. Jack came from a very musical family and Linda also learned tunes from Jack’s brother, Monsignor Charlie Coen. She and Father Charlie (as he is called) played concerts at many venues in NYC. She also began visiting another East Galway flute player, Mike Rafferty. Mike had frequent house parties and at these house parties Linda got to see set dancing for the first time. Hearing the music being played for the dancing created a love for the partnering of music and dance that remains to this day. Linda comes from a musical family. Her father loved old big band music and played French horn and trombone. His mother was a concert pianist, performing in concerts and church weddings and socials in and around Chariton, Iowa. Linda’s mother was an opera singer and sang all types of songs, passing that love for song along to her children. Linda recorded a song she got from her mother on her CD “The Middle Road” (Track 7). Today Linda lives in Staten Island, NY and continues to play at sessions and for set dancing. 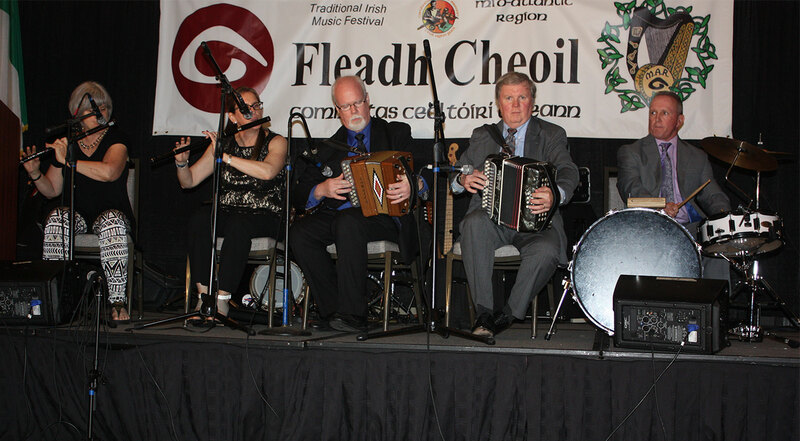 She is a member of Ceol an gCroi Ceili Band, playing for ceilis throughout the Tri-State area with John Nolan (accordion) and Brendan Fahey (drums). In 2016, Linda was inducted into the Comhaltas Ceoltóirí Éireann-Mid Atlantic Region Hall of Fame for her contribution to Irish music and dance in the New York area. She has taught tin whistle at Irish Arts Weeks in East Durham, New York for over 20 years. 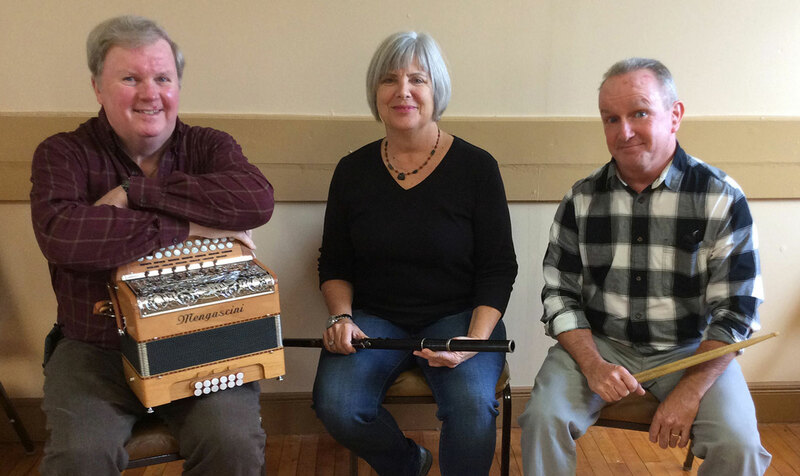 Irish Arts Week offers “a weeklong celebration for all ages with music, song, dance, language and crafts.” It is a wonderful opportunity for musicians of all skill levels to learn and play at sessions with other musicians. In 2015, Linda was honored by the Michael J. Quill Irish Cultural Center in East Durham for teaching and playing Irish music. She is also a 2012 inductee into the People’s Choice Hall of Fame for NYC sponsored by CityLore in conjunction with Staten Island Arts. Since 1990, she has presented music programs for people with disabilities in long term care facilities in the NewYork/New Jersey area. She has also facilitated an MS Adult Day Program, sponsored by the NYC Chapter of the National MS Society. In 2003 she received a special services award from the MS Society for her innovative programs and in 2012, she receive a grant from the Dana and Christopher Reeve Foundation to present “Whistle OutLoud”; a program where people with MS learn to play music on the tin whistle. In 2018, Linda designed a therapeutic music program to help improve cognition in people suffering from depression in healthcare facilities and she continues to use music to improve the quality of life for residents in long term care. Linda Hickman – flute and Bernadette Fee – fiddle. Reels: Lucy Campbell / Cooleys / The Banshee. Irish Music Session at Canon’s Blackthorn Restaurant and Pub in Rockville Center, Long Island during the recording of the Long Ireland Radio Show with Eileen Cronin airing December 26, 2009 out of Hofstra University.